Interstitial ads are full screen ads that cover the entire display screen of a user to make ads more interactive. These ads work best when appearing between natural transition points or breaks. Interstitial ads can be of different types: text, image, video, and more. Also, full coverage attribute makes them different from other ad types like pop up, native, and banner ads. Full screen ads are commonly used on mobile devices to display ads. However, many desktop websites also show interstitial ads. Brands like Pinterest and Airbnb have reported an increase in-app installation by 100% and 300%, respectively, by optimizing interstitial ads. Due to this, most publishers tend to include interstitial ads in their ad inventory knowing marketers and advertisers are ready to pay a sizeable amount for interstitial ads. High click through rate: With interstitial ads, the users have two options: either to click on the ad to check out the offering, or to click on the close button and continue ahead. This means interstitial ads have a 50% chance of getting clicked. Facts say,interstitial ads have higher click through rate than banner ads. Compelling and convincing: A user is least likely to be able to avoid an interstitial ad as it covers the entire device screen. Hence publishers can always show high CPM and rich media ads here for better impact on users. Solves banner blindness: Because a full screen ad would be pretty hard to ignore. The user might not ignore the ad displayed on the screen, hence reducing banner blindness. Interstitial ads sound fun. However, if not used properly, penalties can be experienced. The important thing with interstitial ads is timing. They shouldn’t disturb the users and their experience while accessing some important webpage for information or while transacting. The best and easiest way to avoid penalties on interstitial ads is to check and adhere Google Policies before running them on your (publisher) site or app. 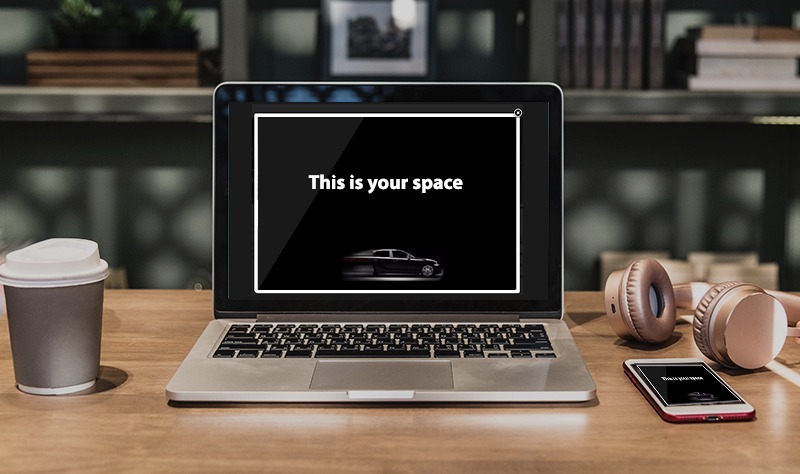 One thing to keep in mind, interstitial ads can be annoying on desktop, so one has got be thoughtful about their use.On desktop, the display screen is big and finding the close or continue button becomes a task for the users. On the other hand, with mobile device, close button [or X] is too small to locate and tap. However, many publishers show interstitial ads on the desktop version of their website. Similarly, if you have a method that is working well for your desktop website without getting penalized, you’re in good practice. If not, you should reconsider planning interstitial ads on your desktop webpages. Even when displaying interstitial ads on mobile device, you need to make sure the ads are not interrupting the user in any way. They should appear between natural pauses. For instance, an interstitial ad can be displayed after end of a gaming session or when user is switching between articles. Pro tip: If your site or application involves a lot of direct user interaction (like clicks involved while playing Candy Crush), do not put an interstitial ad between those interactions. This may lead to ads getting clicked by a user unintentionally causing an invalid activity. Worse, you’ll just end up hampering your users’ interaction with your website/app, eventually losing them (may be forever). Nobody likes getting interrupted. Same is the case with ads, especially while working on something like filling a form. Hence, interstitial ads should be avoided between the important user activities or interactions. However, if the task is considered unimportant (leisure activities like watching a series) and you want to show an ad there, make sure the ongoing task is paused while the user receives the ad. Interstitial ads are large-size ads with rich media and heavy graphics. This means interstitial ads will take a good amount of time to load on the users’ screen. Now, you wouldn’t want your users to wait for an ad to load. Hence, in order to avoid such problems, make sure the ad is rendered quickly. Even better, start loading your ad before it’s called. So when the time comes to display it, it won’t take much time. This is applicable for all kinds of ads. As in case of interstitial ads, which cover the entire screen, showing too many ads in a short time interval is most likely going to degrade their user experience and eventually you lead to lower click through rate (CTR). Interstitial ads might sound a good idea when it comes to getting impressions from users. However, before running them on your platform, make sure you know interstitial ads are right for you. As we discussed, interstitial ads work best when placed between transition points; points , when a the user is expecting a break. By doing this, the user might give a good look at the ads and click on them. Examine the app or site flow to find the best place and time to display interstitial ads. Planning To Add Interstitial Ads? A study suggested, 22% users look for the close button as soon as an interstitial ad appears on their screens. However, 40% users remember the ad and its offer, after experiencing interstitial ads. This means, interstitial ads are all about relevancy and timing. If you are starting out with interstitial ads but don’t know much about them, Google AdMob can the best way to start out. And for mobile application publisher, it is best to take a read at the Google’s guide to integrating interstitial ads. Lastly, remember testing is the key. Even if you are doing fine with the existing setup, it is always good to try and look out for better methods. Same thing is applied in case of interstitial ads. 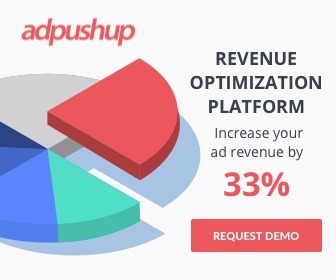 Monitor user behaviour and advertisers’ response to upgrade your strategies and you shouldn’t miss out a chance to generate better revenue.